Gov. 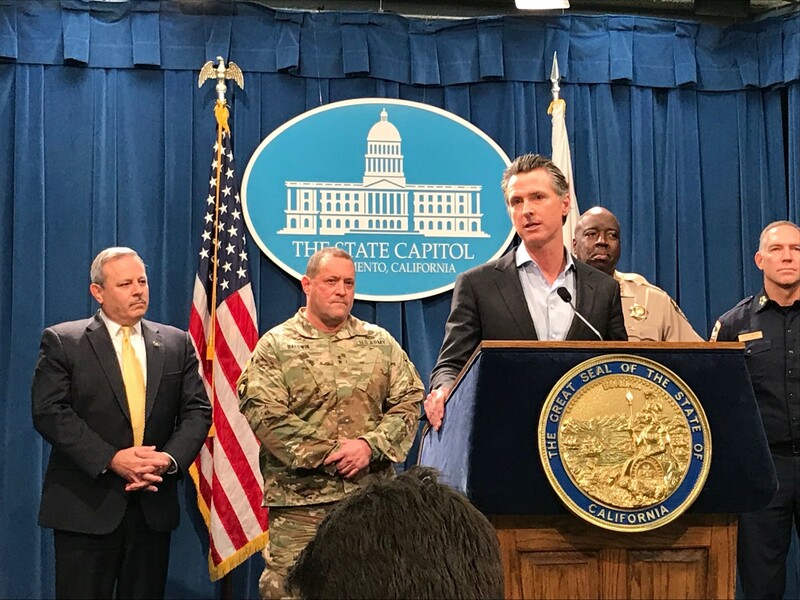 Gavin Newsom announces he's pulling California National Guard troops from the Mexico border. Gov. Gavin Newsom says he’s pulling most of the 360 California National Guard troops off the Mexican border to avoid what he calls a “gray area” on whether they’re actually participating in immigration enforcement. “When you have national guardsmen and women doing, for example, surveillance with cameras, it’s hard to distinguish between those that are participating in gun and drug activity versus those that may be just crossing the border illegally,” the governor said at the Capitol on Monday before signing an official order to rescind former Gov. Jerry Brown’s deployment last spring. Newsom also continued his sharp criticisms of President Trump’s words and actions on immigration. The governor pointed out that his decision should not come as a surprise, given his criticism of the deployment on the campaign trail. “The only surprise, frankly, is that these guys were able to convince me that there was actually some really good work being done down there, as it relates to drug trafficking,” he said, gesturing to California National Guard Adjutant General David Baldwin and other cabinet members who lead public safety agencies standing behind him. The governor said his cabinet presented him with “data” and “evidence” that led to him to rethink his “initial inclination” to end the deployment altogether, and he agreed to leave 100 troops to fight drug trafficking at California ports of entry — at the border and elsewhere in the state. Newsom said he has discussed his decision with Homeland Security Secretary Kirstjen Nielsen, but has not spoken with the president. The White House referred questions to the Department of Homeland Security, which has not yet returned a request for comment. Political Junkie Ken Rudin joins Insight to discuss Gov. Gavin Newsom pulling most of the California National Guard Troops deloyed to the Mexican border, and Democratic Sen. Amy Klobuchar announcing her run for president.